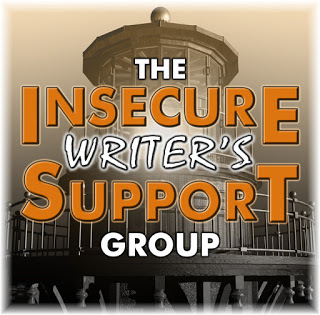 It’s time for another group posting of the IWSG: Insecure Writer’s Support Group! Time to release our fears to the world – or offer encouragement to those who are feeling neurotic. If you’d like to join us, click on the tab above and sign up. We post the first Wednesday of every month and encourage everyone to visit at least a dozen new blogs and leave a comment. Your words might be the encouragement someone needs. IWSG is the brainchild of our noble Ninja Captain and leader Alex J. Cavanaugh! Tamara Narayan, Tonja Drecker, Ellen @ The Cynical Sailor, Lauren @ Pensuasion, Stephen Tremp, and Julie Flanders! Please stop by and thank them for their time. Well, my first piece of writing as an aspiring writer was an epic fantasy piece called…Shoot. What did I call it? I don’t remember. It was on a planet called Matar and was about Belltear. I was in high school at the time. I was taking a typing class and two English classes and that story made it into every single essay I wrote. Even if it didn’t fit. At all. I still have that story. I was seriously going to publish it. I’m really glad I didn’t. Hunter and Piper’s story was written after that. Again, I’m really glad I didn’t publish that trilogy either. It was awful. Both of those trilogies are in boxes (that get moved to every single house every single time and they’re HEAVY!) collecting dust. Thank goodness! Then, I got really, really serious and wrote The Dustman. Oh, man. Good story. Ugh. It was not well told. My craft has really grown. But, uh, yeah. There were quite a few. September – How do you find the time to write in your busy day?